Real Madrid manager, Santi Solari, has said his side had “fallen with honour” as a “more ruthless” Barcelona won 3-0 in Wednesday night’s Copa del Rey semi-final at the Bernabeu. Madrid had the better of the first half, but failed to make their dominance count. Luis Suarez opened the scoring soon after the break, before a Raphael Varane own-goal and Suarez penalty saw the Catalans through 4-1 on aggregate, to a record sixth successive Copa final. 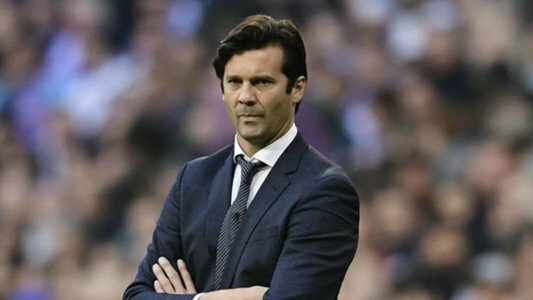 Solari told his post-match news conference, that he had no complaints about how his team had played, but Barcelona had just been better in front of goal. “We are sad, we wanted to play this final. “We fell with honour, the players gave everything they could, played a serious and creative game. “But we did not take our chances, and they did. Football is about goals, being ruthless, and taking your chances, and they did that. The idea of fair, or unfair, does not really exist in football. “We must just congratulate the opponent, they deserve to go through,” Solari said.